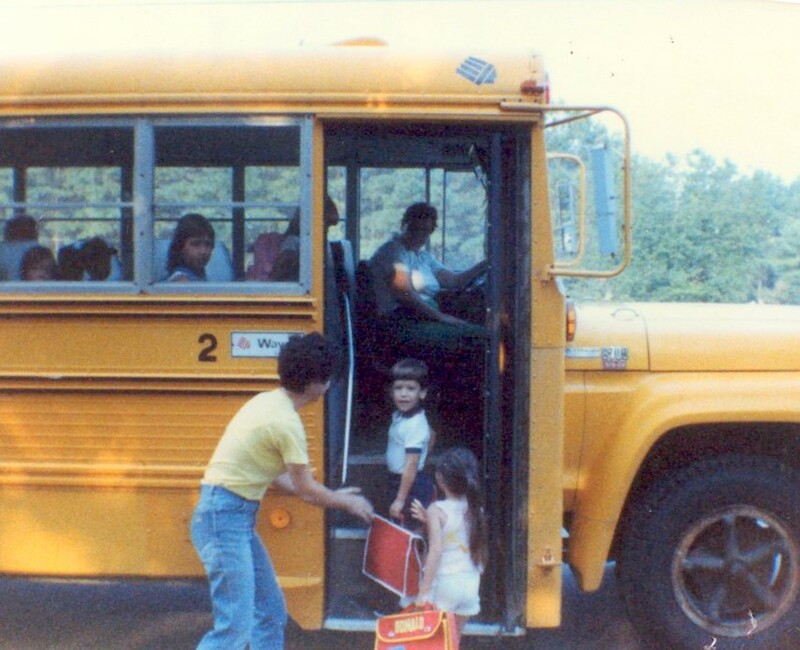 Seeing pictures on Facebook yesterday of my friends’ children heading back to school brought back memories of those days for me with Marshall. Of course, back then, we didn’t have Facebook to document those milestones. I published this blog post back in September of 2011, and since I have some new followers, I thought it would be a good time to share it once again. This was back when I was participating in Mama Kat’s Writer’s Workshop. 3.) 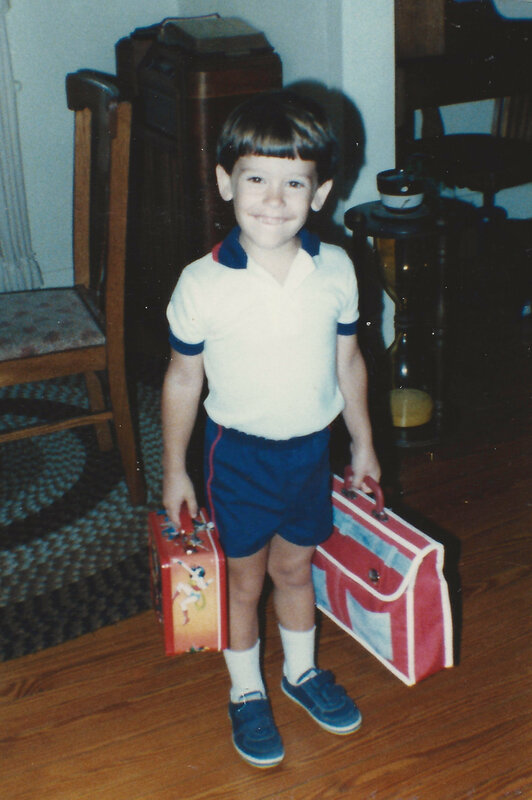 First day of school pictures…let’s have’em! As I seem to do from time to time, I’m taking liberties with the prompt. Mama Kat may have intended that we post current school year photos, but I’ve decided to write about Marshall’s first day of kindergarten. Thankfully, starting school was not as traumatic for Marshall as it had been for me. Maybe that was because he had attended pre-school a couple mornings each week the year before. In these photos, he seems quite ready, with his book bag and Super Powers lunch box in hand, to begin his journey through school. In days to come, the book bag would contain school announcements, permission slips for field trips and workbook pages as Marshall learned the three “r’s”. The lunch box would return home in the afternoons with sandwich leftovers, zip-lock baggies of potato chip crumbs and many times, mystery food from a lunchtime swap with a buddy. Next photo….on to the front porch. 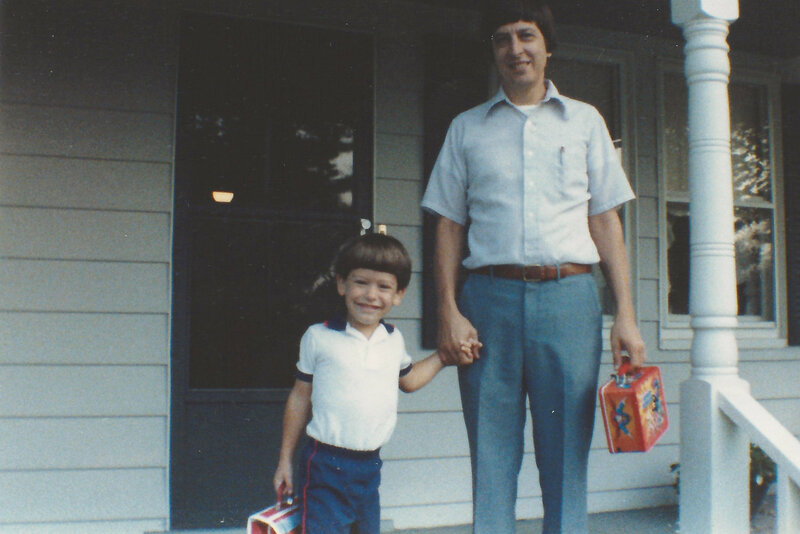 Marshall’s still smiling, but I’m not sure why his dad was holding the lunchbox. I wish I could recall what Marshall took for lunch that first day…. a peanut butter sandwich, perhaps? And I’m sure there was Kool-aid in that thermos. Next photo: we’ve made it to the school bus, and “all systems are still go”. I have no idea what I was attempting to do here, other than have Marshall turn around for yet another picture. The little girl behind him is his childhood friend, Maggie, the daughter of a neighbor. Although Marshall didn’t cry on his first day of school, I certainly did. But I made sure to hold back the tears until the school bus was well on its way. No, I wasn’t one of those parents that followed the bus to school, but doing so probably crossed my mind. And even though Marshall’s first day of school went smoothly, he and I agree that we’re glad our school days are a thing of the past. And as my blogging friend, MJ, wrote on her Facebook post about first-day-of-school pictures this week: to all you parents sending your little ones off to school, “don’t blink”.